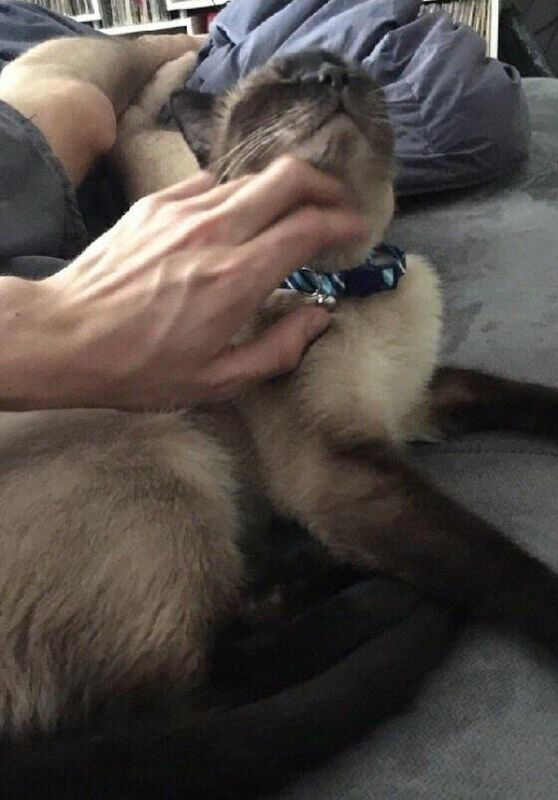 Looking for a permanent loving home was this adorable Siamese's main goal. 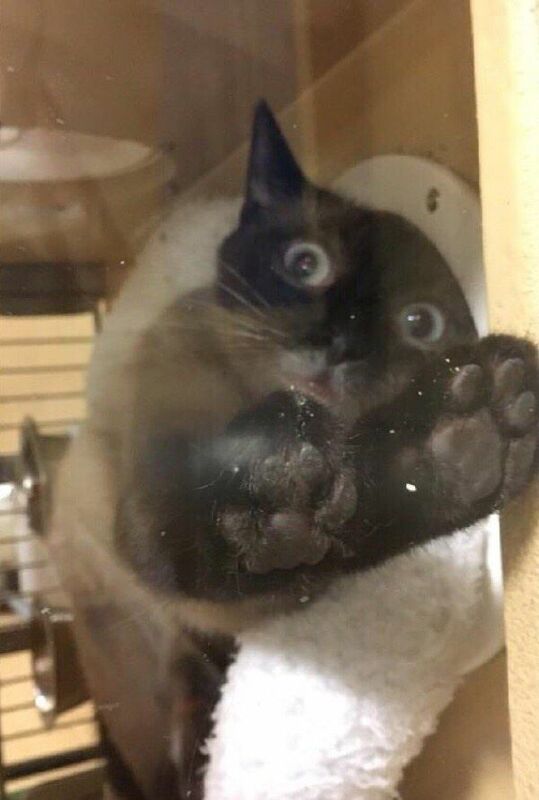 She found herself in an adoption center she was taken to at Petsmart, potential adopters kept showing up but only one young man who worked at the store was chosen by this sweet little kitty. 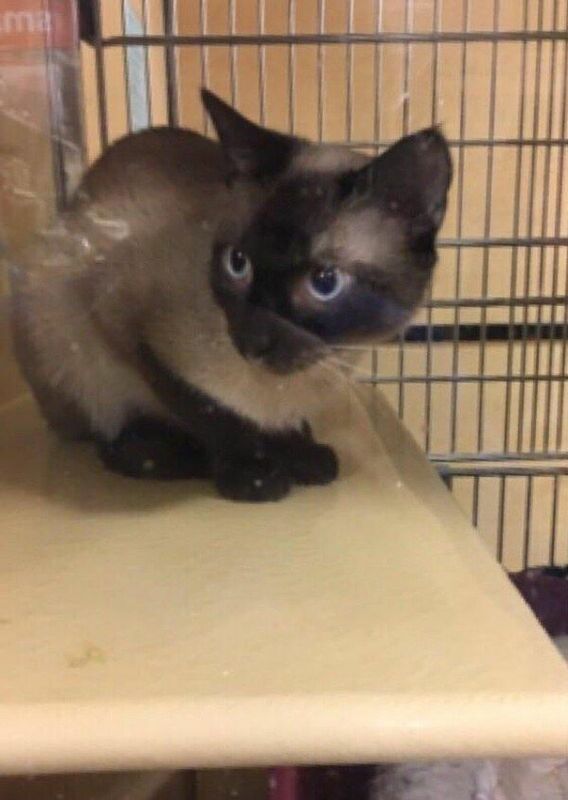 After stopping by to greet the shelter kittens, the employee was surprised after an overly friendly Siamese came right up to him and made sure he noticed her. Her attempts consisted of putting her paws on the glass window of her little condo as soon as he approached, desperately begging him to pick her. She made it her life mission to get adopted by that young man, and she succeeded in the most adorable of ways! The employee felt compelled to bring his girlfriend to the store so she can finally meet the kitty. The second that cage door got opened, the kitty immediately jumped into his arms and held onto him. 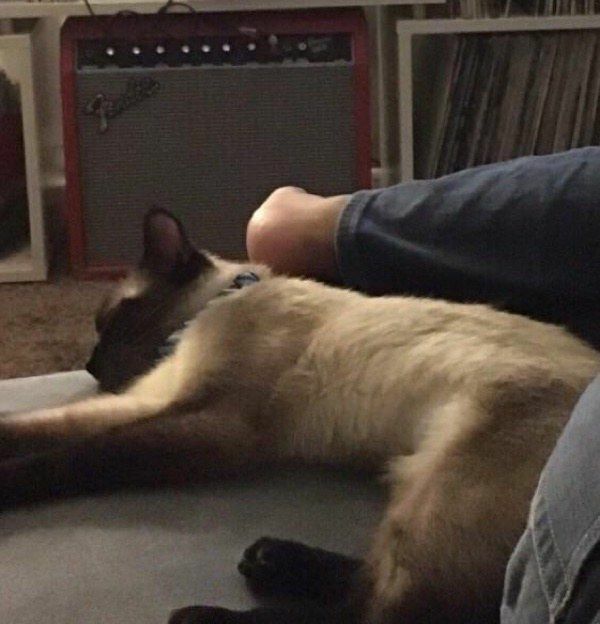 The adoption process was a little bit long and took a couple of days in order to complete, but the couple visited the Siamese every day which made them even more attached to her. They named her Pork Chop! "She has made herself very comfortable in our forever home. She loves snuggling and exploring and she's very vocal and talkative to everyone," she said.